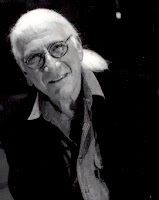 Episode 12: Jerry Goldsmith -After another long break CTM is back with an all new episode. This episode is the first in a long run of episodes soon to follow. On today's show Ralph plays a couple of scores from Jerry Goldsmith's Our Man Flint and In Like Flint. Follow this electronic odyssey into the spy world of Derek Flint. Be sure to check out the ALL NEW CTM Myspace page, myspace.com/cuethemusicpodcast ! fantastic soundtracks to these films. the podcast is a lot of fun so far. especially the descriptions of the plot. have i heard the opening theme to the second one a billion times before? i may have to stick the Derek Flint films into my queue. Check out the myspace photo page to see what is in store for the future of CTM! A whole slew of shows coming soon. Hey Ralph! I just powered through all the "Cue the Music" podcasts. What a great job you did with them. Are you going to do any podcasts of TV music? (BSG, Lost, Alias , etc) Have you heard the sound track for "The Secret of NIMH" by Jerry Goldsmith, it is one of my favorites. "The canvas can do miracles, just you wait and see"